Below is information on how to register to vote, key dates in the Midterm Election cycle, and a breakdown of candidates we recommend. 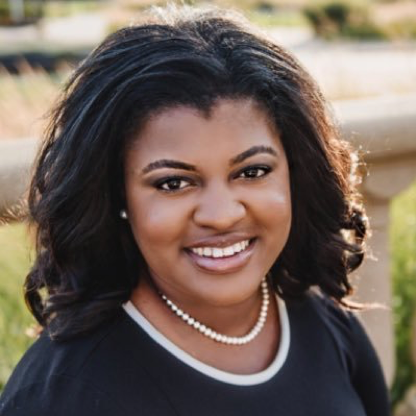 A small business woman and former field organizer for Barack Obama’s presidential campaign, Deidre DeJear is running for secretary of state because she wants to see Iowans more engaged in the electoral process. "In Iowa and around the country we have seen women’s rights attacked. Just last year alone, Iowa lost four planned parenthood facilities leaving over 14,000 women and men without primary care services. That’s unacceptable. As a member of Congress, Cindy will fight to keep Washington politicians out of the Doctor’s office and out of the personal decisions between women and their doctors. That’s why Cindy will ensure that Planned Parenthood funding continues, allowing women and men to continue to receive vital healthcare services." A small business owner and community activist, Cindy Axne was motivated to run for Congress because the believes the incumbent’s support of President Donald Trump is problematic for Iowans. 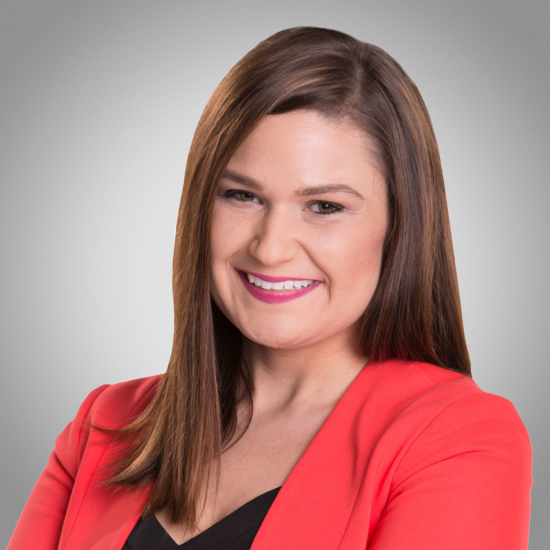 A member of the Iowa House of Representatives, Abby Finkenauer is seeking a seat in the U.S. Congress because she wants to represent Iowa’s working families. 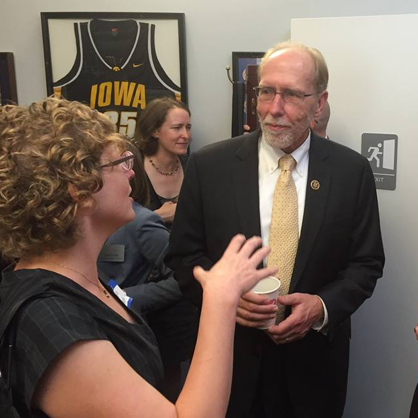 A former political science professor, Dave Loebsack is a six–term Congressman who supports women’s rights to access a full range of reproductive health care. Your vote to return him to his seat in the U.S. House would be a vote for women’s rights. A financial services and estate planning professional, Tracy Freese also owns her own online, global marketing company and is chair of the Grundy County Democratic Central Committee. She is running for a state senate seat because she wants to fight for women and children by supporting Planned Parenthood and properly funded public education. She is also a proponent of universal healthcare and a stronger minimum wage requirement. A retired diplomat with over 25 years of foreign service behind her, Janice Weiner is seeking a state senate seat because she does not like recent policies and legislation, such as a voter I.D. law and the weakening of collective bargaining rights for public employees, pushed through by the Republican-controlled state legislature. She is pro-choice and, if elected, is poised to fight for women’s access to reproductive care. Equal pay for equal work and paid family leave are also on Weiner’s list of legislative priorities. Served the United States State Department as a diplomat in countries including Germany, Poland, Turkey, Mexico and Canada. "I am committed to guaranteeing greater representation of women and women’s issues. Currently, only seven seats out of 50 in the Iowa Senate, are held by women. Yet, the senate makes decisions every day about the most intimate aspects of women’s lives." In her first bid for elected office, retired community college administrator Mary Stewart has prioritized making affordable health care accessible to all Iowans, restoring workers’ rights so that employees can work in safe places, receive worker’s compensation and engage in collective bargaining, and increasing funding for job training programs. She also supports women’s rights to make their own reproductive health choices. "It is a disservice to our community and neighbors to not provide basic health care screenings and family planning services that have helped struggling women. If one of us benefits, we all benefit." Lori Egan, a nurse, is running for a seat in the Iowa State House because she believes the state’s legislators have forgotten about the people of Clayton and Allamakee counties, whom she is hoping to represent. She also wants to ensure the area has affordable and accessible health care, as well as an educational system that will make Iowa’s kids competitive in the job market. Volunteered with the Red Cross, Waukon High School Athletic Booster Club, Waukon Jaycees, RAGBRAI Waukon and 4-H.
A veteran teacher, Molly Donahue understands the challenges facing working families. She wants to make sure women get equal pay for equal work, provide working families with affordable childcare and raise the minimum wage. And, she has prioritized protecting children and victims of domestic violence and creating a health care system that serves Iowa’s most vulnerable citizens. As a college chaplain, Lindsay James is all about building bridges, not walls. So the morning after the 2016 election when her young daughter, with tears in her eyes, asked her if Donald Trump’s victory meant we’d have to build a wall, she knew she had to run for elected office.